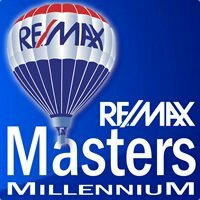 While the average price of a Colorado home remained flat in December 2016 at $315,000, buyers and sellers experienced a 10 percent increase in the median sales price over the course of the year, according to the latest statewide housing report from the Colorado Association of REALTORS® (CAR). With a median sales price of $287,000 in December 2015, the past year featured a shrinking housing inventory punctuated by the lowest number of new listings in December 2016, and continued strong demand from a growing Colorado population. All of these elements shaped a consistent theme for the 2016 Colorado housing market. Single-family homes across the state held steady with a median sales price of $335,000, up 8 percent for the year and just 4.3 percent off of the 2016 high of nearly $350,000 in June of last year. The state’s townhouse/condominium median sales price rose to $260,000, up 2 percent from the prior month and up 14.3 percent for the year, reflecting a record median sales price for the townhomes/condominiums in the CAR market trends research. With just over 3,900 single-family home listings added in December, down nearly 30 percent from November 2016, there were 13,332 single-family active listings in the state, just 1,200 more than the total number of single-family listings added (12,153) in June 2016 alone. 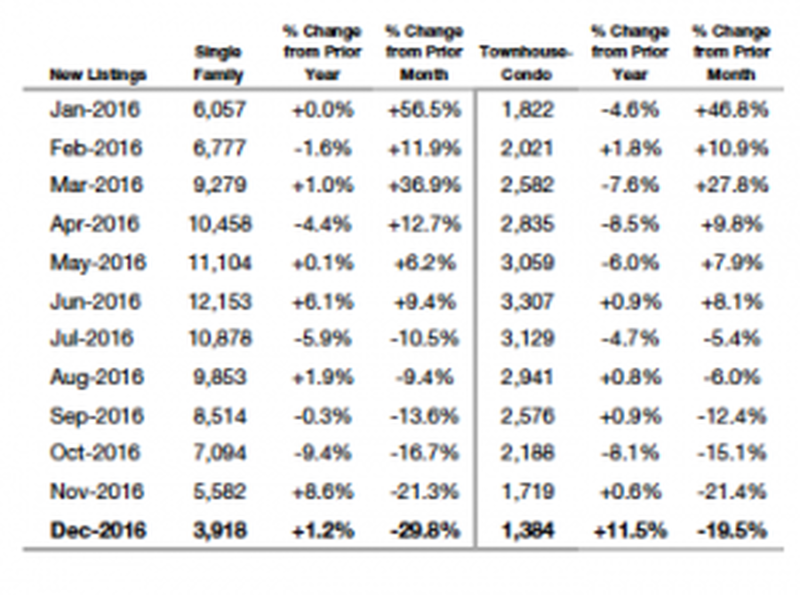 New townhouse/condo listings also reflected an annual low in December 2016 with 1,384 new units listed bringing the total active statewide listings to 3,349, down 40 percent from its July 2016 peak as well (see the chart).